‘Tis the season for holiday parties! But with cold weather here to stay and our warm weather shoes packed away, what footwear do you don while out on your next festive occasion? Since snow boots might not top your list for a night out, here are our top shoe picks for your next party. See our shoe picks for holiday parties below! Ankle booties are our go-to for day and now, night! Get dressed up in a pair of heeled ankle booties to complement that LBD that you might be donning for the night. If you’re not into baring your legs once the temperatures drop, bring along a pair of opaque tights to layer up with. 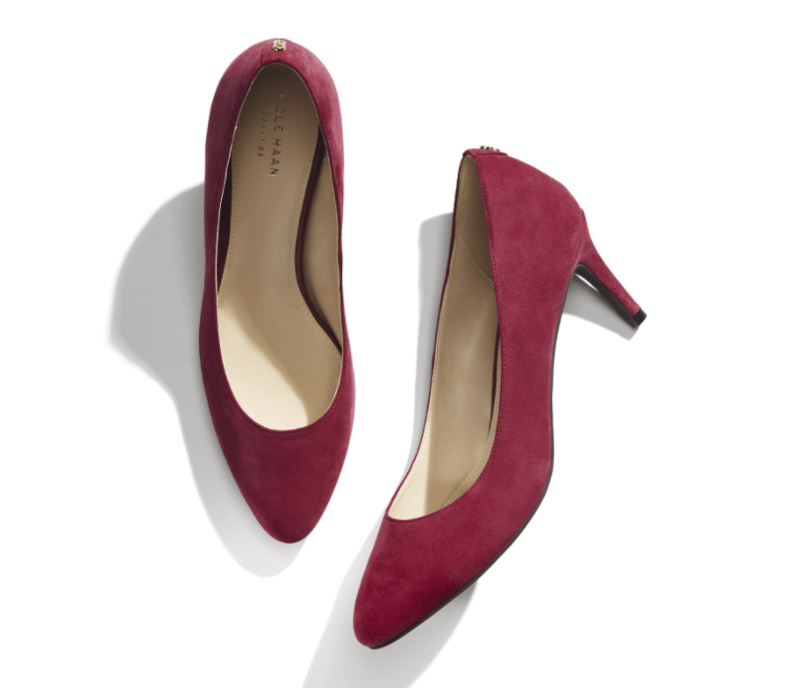 Break out your favorite closed-toe heels in a bright, bold color for a twist on a closet classic. Add some interest to the timeless footwear by opting for a pair with an ankle strap in a deep seasonal hue—think burgundy wine or navy. If you’re more of a flats girl than a wheeling and heeling gal, slide into a pair of pointed toe flats to dress up your festive look. A luxe pair in soft suede or leather adds a luxe feel to your already dressy look. Remember, open-toed shoes are not off-limits for these occasions! Combat the cold with extra layers on top that can easily be shed when you arrive at the party. What are your shoe staples for a holiday party? Tell us in the comments!